Reaction Point™ is a unique add-on market timing indicator that combines veteran trader and author John Crane’s ‘Action/Reaction’ and market timing methods with a selective set of Elliott Wave, Dr. Andrew’s Median Line, and Fibonacci principals to analyze market action and project future market swings. The Reaction Point™ timing indicator utilizes market structure and market behavior with a unique combination of the “Action/Reaction” theory and “Market Timing Intelligence” to always keep the trader in favorable market direction. Market Timing Intelligence uses only the past “action” of the market to make predictive time and price projections, with a high degree of accuracy. The Reaction Point™ timing indicator is designed to help the trader identify “sweet spots” of price action precede an explosive price movement and help capture that price movement from beginning to end. It is important to note that every market movement is a function of the market moves that preceded it and all markets adhere to the laws of Action/Reaction. Even though each market has its own unique personality, all markets will also seek balance, therefore Action/Reaction will always come into play. As a Ninja Trader Add-on, Reaction Point™ timing indicator uses this price reality as a leading indicator to provide earlier entries and timely exits. Click here to sign up for our next educational webinar, where John Crane will explain key features in Reaction Point™ and Market Timing Intelligence using live markets. Learn more about ‘Trading with Market Timing Intelligence’ and download your free trading manual. For more educational videos of Reaction Point™ in action, please click here to visit our YouTube page. Free Demo of NinjaTrader Available Now! [Click here] to download the latest version of Ninja Trader. 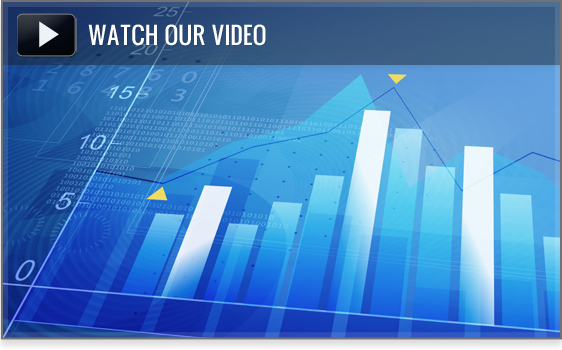 [Click here] to learn more about Kinetick’s streaming real-time & historical EOD market data service is optimized for use with NinjaTrader’s charting software. Exclusively available to NinjaTrader users. To get started now, fill out the Demo Form on the right! In addition, you will receive the Reaction Point ™ Trading Guidebook for free. QUESTIONS? CALL US AT (800) 521-0705. It’s a NinjaTrader™ add-on program that generates buy and sell signals. It tells you when to buy, when to sell and when to stay out. It will also identify strong or weak signals. It will help you identify critical points in the market. It’s called Reaction Point™ because it identifies points in the markets before critical breakouts. As a market timing indicator, will help you take advantage of those points at the very beginning and ride them to the very end. It will help you get early entries into major price moves. One thing it’s noted for is helping you catch every major move in the market. It’s extremely easy. Other market timing software have pages and pages of instructions that tell you how to identify buy and sell signals, but our software will tell you right on the screen. We also conduct ongoing educational webinars to teach you all about trading with ‘Market Timing Intelligence’. Click here to learn more about the next educational series. You don’t need a lot of instruction or any training to use it. It will tell you whether it’s a strong signal or a weak signal direction of market, how far and how long it will take to reach that objective. We have a short, 10- minute video that will tell you how to use it. We even have weekly webinars on how to use the strategy. WHAT IF I DON’T USE NINJATRADER™? Right now, the program is only available for NinjaTrader™, but very soon it will be available for many other platforms. However, if you would like to try NinjaTrader™, they offer free trials with end of day free data. If you’re ready to lease NinjaTrader™, we can show you how to get the CME to waive your exchange fees. Call us at (800) 521-0705. WHY IS THIS SOFTWARE BETTER THAN ANY OTHER ADD-ON? It utilizes market timing intelligence which is based off true price action and market structure, which is a leading indicator where others use many lagging indicators. This software will give the signal much earlier than a lagging indicator. The shortcomings of a lagging indicator show up in intraday and cause you to enter the trade late and leave late. WHAT MARKETS DOES IT WORK FOR? It works for all futures markets, stocks, and Forex markets. WHAT TIME-FRAME DOES IT WORK FOR? Any. Monthly, daily, 5-minute, etc. CAN I WATCH MORE THAN ONE MARKET AT A TIME? Yes. You can have several open at a time. WHAT TYPE OF CHARTS CAN I USE IT ON? Reaction Point™ is most effective when used on time based charts. We have also found it to be very effective when used with tick charts. IS IT AN AUTOTRADED PROGRAM? It will generate the signals, but the trader will have final say over whether to take the trade or not. The trader is still the decision maker. CAN I TRADE THROUGH ANY BROKER? You can trade it through your existing broker, or you can trade on your own. You can trade through anywhere. We have experienced traders here to answer your questions. Call us at 1-800-521-0705. Yes. And we have ongoing education in our live webinars. CAN I PURCHASE THE SOFTWARE? We offer a 10-day free trial. Click here to learn about pricing. (Click here) – DOWNLOAD AND SETUP INSTRUCTIONS FOR THE REACTION POINT™ INDICATOR. (Click here) – THE REACTION POINT™ TRADING USER GUIDEBOOK. PLEASE MAKE SURE THAT YOU HAVE THE LATEST VERSION OF NINJATRADER. DOING THIS WILL ASSURE YOUR INDICATOR COMPATIBILITY. TO ACTIVATE REACTION POINT CALL US 1-800-521-0705. Ready to buy Reaction Point™ now? [Click here] for pricing.